The fastFIX range of solar panels are designed for easy installation, the panels have 1M of cable attached fitted with an S-S connector so it really is simply a matter of plug-in and start charging. 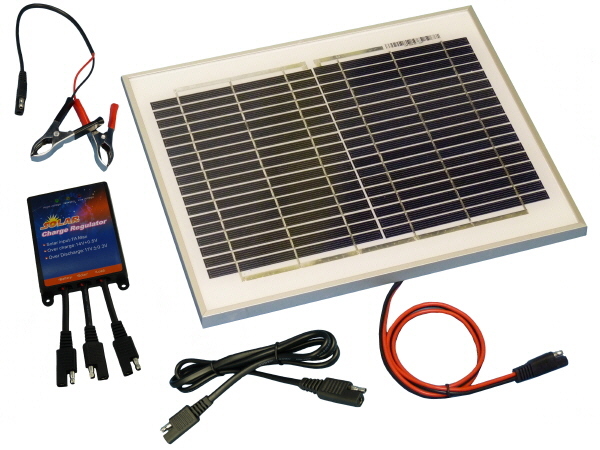 Our Sunshine fastFIX 10W solar panel is most typically used as a heavy duty battery maintainer for keeping 12 volt batteries fully charged whilst unattended a common use for the 10W kit is for electric fence battery maintaining, they also suit weekend leisure pursuits where a battery is used such as caravans motorhomes & boats. With a Sunshine 10W solar panel you could expect to generate around 2.27 amps per day during the summer months.